I think there is one point that just about everyone can agree. And that is that we are living in a very stressful, chaotic, frenetic time. So many activities and so many distractions seem to be calling our name and vying for our attention. You may have a deep calling within your soul for a reset. A time when you can center, once again, on your relationship with God, with becoming calmer in your soul and perhaps even focusing on your health and wellbeing. Entering into a 21-day period of extended prayer and fasting might be the perfect prescription for your spirit, soul, and body. Let me invite you to see what can be available to you during this spiritual experience. First, let me point out that the Daniel Fast, like all spiritual fasts, is not about the food. It saddens me to see how so many people have turned this powerful method of extended prayer and fasting into a focus on “scrumptious Daniel Fast recipes” or “mouthwatering recipes for your Daniel Fast.” That approach to the Daniel Fast misses the purpose God designed for fasting. Learn more. Instead, entering into an extended period of prayer and fasting is the time to simplify your life so you can focus more on God. Also, one of the most powerful lessons and experiences you can have during your time of prayer and fasting is recognizing the battle you have between the flesh and the spirit. We live in a culture that has glorified food, and consequently, it’s even happened by so many who highlight the different way you’ll eat while on the Daniel Fast. I encourage you to keep your meals simple, easy to prepare, and not at all the focus of your fast. Instead open your heart and your soul to the powerful lessons, insights, and experiences that the Lord has for you. Spiritual fasting is like going on a personal and private retreat for yourself. During your time of fasting, you can spend more of your time and attention on God, His Word, and the ways of kingdom living. It’s very possible that during your time of extended prayer and fasting that you’ll develop habits, routines, and practices that you can use during your fast as well as after your fast for your spiritual growth. You may have a longing in your heart to draw near to God. Possibly you feel distant from Him. I can promise you He longs to have you near Him. He longs to be with you. And He honors your desire to connect with Him. Most often, reconnecting with God is not something that we can do in just one or two days. And therefore, an extended period of prayer and fasting is the perfect opportunity for you to lean into Him for your support and for your strength. You can reorder your days, and your practices, so you can put your eyes on Him rather than on all of the distractions that so often gain our attention. Your soul is made of your intellect, your will, your emotions, and your personality. While our spirit was reborn when we accepted Christ, our soul still needs a transformation to the ways of the Lord. During your time of extended prayer and fasting, you can check in with yourself. You can examine your heart and discover areas that you want to bring into closer alignment with the ways of God and His kingdom. Many times when I’ve been fasting the Lord has shown me lessons He wants me to learn, adventures He wants me to take, and new insights that He wants me to discover. Jesus says, “Come to Me, all you who labor and are heavy laden, and I will give you rest. Take My yoke upon you and learn from Me, for I am gentle and lowly in heart, and you’ll find rest for your souls.” Matthew 11:28-29. Open your heart to the Lord and see what He has to teach you during your time of prayer and fasting. He loves you so very much and He longs to have you look to Him for your needs and desires. As you think about a reset, this may also be a time when you can look at the way you use your time, making choices about what you’ll do and what you won’t do, setting goals for the lifestyle you want to live, and designing the future you’ll have along with the Lord’s direction. Proverbs 3:5-6 calls us to powerful promise, “Trust in the Lord with all your heart, and lean not on your own understanding; in all your ways acknowledge Him, and He shall direct your paths.” Acknowledging Him in all your ways means to bring God into the center of every part of your life. And so during your Daniel Fast, you can examine your heart, take a look at your life, and find ways and opportunities to bring God in so He can show you the very best way to live. While the Daniel Fast is not about food, because of the simple meals that you’ll be eating during your spiritual discipline, your body will reset. You’ll be eating only simple foods and drinking only water. It’s very likely that you’ll experience healings, including lowering your cholesterol, balancing blood sugar, dropping unhealthy pounds, or reducing inflammation and therefore lessening or eliminating muscle aches and pains. You, as the caretaker of God’s temple for His Holy Spirit, you’ll likely experience a refreshment for your whole being as you take your flesh, the world, and food off its pedestal and instead lift the Lord up and focus on Him. I truly believe that God has anointed the Daniel Fast for this time in the history of His church. The Daniel Fast, which is a partial fast, opens up this powerful discipline of spiritual fasting to many who would not be able to go without food for an extended period of time. My hope for you is that you’ll encounter God in new and formidable ways during your Daniel Fast. Also that you’ll keep the focus on Him, and that you’ll experience the love, joy, and peace of Christ that renews you and truly resets you for this next season in your life. How about you? Will you use the Daniel Fast soon? I love hearing from others. Please leave your comments below. If you want to learn more about the Daniel Fast, you can purchase a copy of the bestselling book I wrote about it, which is now considered the “go-to guide” for this method of fasting. The Daniel Fast: feed your soul, strengthen your spirit and renew your body. It’s wonderful that you have the time to prepare. The first step to your successful fast. Be blessed and expect great things from the Lord! I am on day 4 of my Daniel fast. I normally wake up at 4 a.m for my morning prayer and meditation but today it was a bit difficult to get up. I do the fast every year and each year my relationship with God grows stronger. I thank God for you and your teachings. Your body is probably adjusting to the different foods (and lack of caffeine). As you likely already know, you’ll soon shift into more energy and clearer thinking as your body is detoxed. Thanks for your message. Be blessed on your fast. Hi Susan.🙋 I started the Fast Monday, the 7th. I’m experiencing results already as I’m focused, this time, more on the Lord and being in His Presence than on what foods I can’t have. This is life-changing for me. Thank you and continued blessings to you, precious woman of God. You are helping many of us grow up in the Lord. You are a treasure in my life! Thank you so much for your message. We have an amazing God. And He has so much to share with us as we press into Him and learn how to crucify the flesh. Blessings to you, lovely woman of God! I am very happy to join you again this year. Last year and the year before you had videos everyday with sheets and questions. I really loved that. I have been searching and looking for that but in vain. Are you doing it differently this year so that I stop searching. God bless you Ms Susan Gregory you have been a big help to me. Be blessed on your fast. Thank you very much Susan. I am beginning my Daniel Fast on 14 January. Currently I am on a water only Prayer & Fasting with my church, which started on Monday, 7 January. I already feel the Holy Spirit working within me. My goal is to enter a higher level of life in the Spirit! Thank you for your encouragement and that of all those participating. I know that I will emerge a different, new, spiritually rejuvenated believer! I hope the best for you on your fast. God is so good and always willing to reward us as we seek Him. I hope the best for you on your fast. God will reward you with insights, favor, blessings, and revelations as you focus on Him, His Word, and His ways. Be blessed and thank you for your message. Indeed the Daniel Fast is for such a time as this. Many of my sisters and brother are uncertain during this Government shutdown, but I’m reminded during my fast that Jehovah my God has the final say!! Yes, we always want to put our trust in the Lord, and also make sure we recognize that we are citizens of His kingdom first! Praise God! 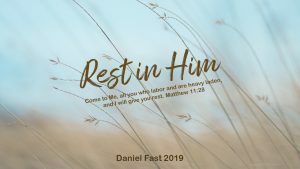 Since starting my Daniel’s Fast on January 1, 2019, I have felt closer to God. I feel my body releasing toxins both spiritually and physically. I am my elderly Mother’s Caregiver and prepare her meals while fasting. I had to call an ambulance last Friday because she could not breathe well. She was in the hospital until last night. I have not had time to eat much so the Daniel Fast is great during this time. My church’s theme this year is S.M.I.L.E; Seeing Miracles in Life Everyday. I have seen a miracle each day since Jan. 1, 2019! Our kingdom of God experience is “not of this world.” I am so happy for you! You are tapping into the higher life of the Lord. And the more you lean into Him the more of His amazing grace you will experience. Be blessed and thank you for your lovely message. Thank you so much for this. It really helps because like you said we tend to focus on the eating part of it and not the spiritual part of it. Drawing closer to God is what I want to get right. Reading your blog really helps because it’s a reminder of where my heart should be. Thank you so much. Yes, we want to understand the purpose of spiritual fasting, and then practice it. God loves you so very much. Learn into Him and He will reward you with His favor, blessings, and insights. I started on the 06th Jan 2019 and so far I am happy. I’m praying for inner peace. I need Jehovah to be my only source of joy. I’m praying for strength to focus on God only. Caroline, I made 2019 my “Year of Joy.” Multiple times a day I repeat this declaration over my life. Whenever I sense any kind of negative thinking coming from me, I shift and declare, “This is my Year of Joy.” And continually declare the truths of God over my life. Be blessed on your fast, dear one! Our fasting experiences teach us about God and His ways, but also about us. So you are learning valuable lessons that will help you be transformed into the great life of character you want to become. 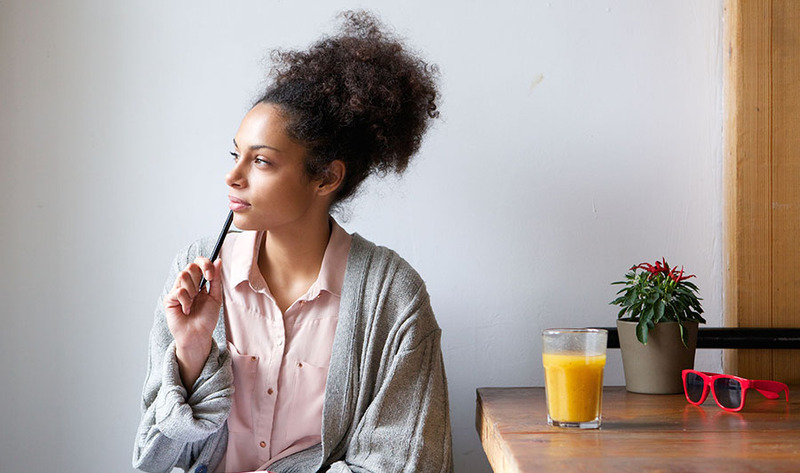 Check out this post: What Should You Do if You Quit or Break the Daniel Fast? We’re starting 21 days fasting on 12th Jan, as a church. My family and I have decided to use the Daniel Fast and we believe that we will experience the presence of God in a new way. Thank you for your guidance on the same. What a joy it will be to enter into this powerful experience with your whole family. God is so good. He’s eager to show you His favor and blessings. I hope the very best for you on your fast. Hi Susan, I am on day 8, this is my first time. I want to get rid of anxiety issues forever and find answers to my business and financial issues. Over Christmas time, God was directing me to do the Daniel Fast. I need to get closer to God in all areas of my life. I found day 7 a bit difficult for me. I am blessed to be on day 8. I am writing down my feelings every day on the fast. God Bless everyone on the Daniel Fast. The Daniel Fast is a wonderful opportunity to turn more of yourself and your business over to God. I remember when I made Jesus the CEO of my business. God’s Word promises to bless the works of our hands. You might want to declare Deuteronomy 28:1-14 over your life and your business. This is the blessing of the Lord that Jesus gained for you! It’s already yours! Our part is to Ask. Believe. Receive. God bless you Susan, I have been following you for many years and thank you for sharing your walk with God and the Daniel Fast. My husband and I along with our church fast for 21 days every year. We started at the beginning of the week. We choose the Daniel Fast and continue to follow your guidelines through your book. We look forward to this spiritual cleansing every year as we seek to draw closer to the Lord and for a blessed and prosperous year for our marriage, our families and our ministry. We also Fast throughout the year. Praying for you Susan. Be blessed. Thank you so much for your blessing, Willette. I receive it! Our Lord is so very good! I praise God for allowing me to come alongside His people as they turn their focus and attention to Him on the Daniel Fast. He gave me the instruction back in 2007 to, “Write about the Daniel Fast.” I had no idea then what He had in His mind for me. I am so very glad I accepted the assignment! Be blessed on your fast, and thank you for your kind message. This is my second year of Daniel Fast with u Susan. Last year I needed a financial breakthrough and God did just that. I got a senior post that helped me and those around me. This is my third day now as I started on the 7th. My prayer is that I may draw closer to the Lord and hear Him speak to me. I’m also praying for a major breakthrough at home. Praise God for His faithfulness, Zoliswa. You have experienced His mighty works in your life. He always delivers on His promises as we to our bard, which is to believe. Be blessed on your fast. I am so glad you are with us! Starting my fast on 13 January. I did the Daniel Fast last year and really started having a much closer relationship with the Lord. I have been struggling lately and am really looking forward to the fast! God’s Word says that He rewards those who diligently seek Him. You’ve experienced that encounter before and you can again as you enter the fast with your focus on Him and His ways. God is the source of my strength and there’s nothing that I wouldn’t do for Him. One of the hardest parts for me is reading. I get bored so easily. I can talk about God over and over and over again, but just sitting down to read I get so bored. How can I break that addiction because I think it’s an addiction. I truly believe you are citing an issue that is pervasive in our culture today. We are on stimulus overload with all the social media, television, digital tools, etc. You are not alone! Here is my suggestion: first, pray about this matter. Ask the Lord to show you how you can find value in the written Word. Ask Him to help you experience the living power of the Bible or other material you’re using. Second, you can “turn down the stimulus.” Consider putting boundaries on the amount of social media you use and the amount of television you watch. Make inner peace your quest and your desire. I hope this helps. The really good news is that you are aware of this problem. That’s the first and essential step to growth and change. We learn so much about ourselves on the fast. The more you can take food off its pedestal, the more success you will experience. Be blessed, dear one. And thank you for your post. You are helping others! Thank you for your ministry, Susan! I have participated in the Daniel Fasts before and this year I am doing The Daniel Cure from your book of that name, starting with the fast now. Thank you! I’m so happy for you, Caroline. Hi Susan, I started my fast on January 1st and God is showing up and showing off in my life. There is a lot going on around me but I am able to maintain peace of mind and I know it has to be God. This is my 5th year doing the Daniel’s fast and I look forward to the reset every year. Thank you very much for your inspiring teachings. I am believing God for a positive shift in my life and finances. His peace does surpass our natural way of thinking (all understanding). Just one of the amazing blessings we have available to us as we use the kingdom of God principles rather than depending on our own way of thinking. It’s surely a shift in how we live our lives. Be blessed on your fast. I’m so glad you’re with us. I started Sunday. I have a breakthrough. I have been standing for 4 yrs and each day I decide to give up God shows me something. I’m forever thankful for your encouragement. Our God is faithful, reliable, and always delivers on His promises when we believe and put our faith in Him. I am so happy for you, Tiffany. Keep goin’, girl! I am starting the fast with my church 1/10. I know and love the Lord but want to know and love him deeper. I also want His will and purpose for my life to really manifest as I walk it out in this season. I am an emotional eater and have been using food to deal with emotional issues. I know I have food on a pedestal and want this fast to be a catalyst as I change my eating habits and how I view food. Need prayer!! Great intentions for your Daniel Fast. Awareness is the first step to change. So you are on your way. Trust in the Lord. And keep leaning into Him for your emotional needs. You’ll get there as you learn to depend on Him even more. Thank you for the great encouragement and may the Lord richly bless you as you continue to spread the gospel. Today is my 3rd day on fasting and feel His presence, though I’m facing some really difficult moments in my marriage. Please pray for me. I need strength each day to press on and never look back. Relationships can be very challenging. Obviously, I don’t the circumstances of your marriage challenges. However, I do know that love is God’s powerful agent for change and transformation. I encourage you, in your quiet time, to pray with a deep love for your husband. No strings attached. Just love. And not your love, but the love of Christ to wash over your husband and you, also. Invite the Lord to do a mighty work in your hearts. And lean into the Lord. He is your Comforter. He understands your heart. He wants to help you through these challenging times. Our church begins Daniel fast Thursday. Im so excited to see what great and mighty things await.. Thank you for your encouragement. Praise God. He is faithful! I experienced something the first morning of the fast that surprised me. For months now I’ve been getting up at 4:30am, 7 days a week to pray/meditate, do my devotions and drink coffee before starting my day. I look forward to that time with our Lord. Day one of the fast, Sunday, my alarm went off and I stalled getting out of bed because the coffee would not be there. At that moment I realized how much I need this fast to get my spiritual life and priorities in order. Today is day three and I’m doing better but have a ways to go. I need these 21 days. You will do well, friend. You inspire me as I see how you truly are clay in your Potters hand. I started the fast on the 7th and messed up on the 8th. I am starting over today. My desire is to get closer to God. Please keep me in prayer. Fasting is a powerful learning experience. You’re learning about yourself and as you know better you can do better. I encourage you to read this post: What Should You Do if You Quit or Break the Daniel Fast?. Be blessed on your fast! God is good! Thank you for the reminder that I should be spending less time preparing food, not just as much or more! Be blessed on your fast, Jasmin! Started on the 6th. Praying for strength! The key to our strength is being filled with Him! Your intention for your fast is so great! Be blessed. Hey Susan, this is my second year doing the Daniel fast with you. I started on Sunday at 6 a.m. and I even got my husband to do a partial face so please keep him in prayer. Thank you for sharing the Daniel fast with all of us. God bless you! Oh, Carolyn, I am so happy to have BOTH you and your husband! So lovely for the two of you to partner in this powerful spiritual discipline! Reset and recenter my life with God. I wii be starting my spiritual fast on January 11th. God is with you, Roberta. Even now as you prepare for your fast. He is so very good and He has so much for you! Your Father is already blessing you as you continue to reach out to Him. Enjoy the Lord. He loves you so very much! I cannot start the fast today because I came down with the stomach flu very bad and I believe the Lord is telling me to hold off until I get my strength back. Praise God for His healing touch. Rest up, dear one . . .
Be blessed when you do start your fast. I am looking forward to this fast. I will be starting it January 7. I will be starting 1/6/19, I need to get closer to God and take foods off the pedastal and using it to fill the voids in my life, I am 80 pounds overweight. I need a transformation . Great purpose for your fast, Grace. Be blessed as you seek God and His direction for your life. I believe God has led me to this place through my Bible app. I suffer from anxiety, compulsive overeating and binge eating disorder. I feel desperate for help, healing and mostly peace. I know of the Daniel Fast but was not successful the one time (years ago) that I attempted to do it. I was not properly prepared. I would like to spend time looking to God for direction between now and Jan 4th to see if the time is right for me to try again. My hope is that I can better prepare myself so I can have a successful time of drawing closer to Him…healing my body, mind and soul. I hope you join with me this year on the Daniel Fast. God’s arms are open wide for you. He’s eager to help you reach the victory you want for yourself. Don’t keep trying to do like on your own. I know from my own experiences that when I try to live my life by my own wits, I’m not only missing out on all the amazing blessings Jesus gained for us, but I am also not as joyful, not as peaceful, and not as successful. I know you can reach the desires you have for yourself, Susan. Lean into God. Learn how to be in His presence. And live your days in the new life you have because of Christ. Yes, I am ready to reset and draw closer to the God of my Salvation. The world and its distractions are always pulling on me. So, I am going to start on Dec 1st to reset during this Holy Advent Season. Thank you so much Susan for all that you do to encourage us to a deeper walk with God throughout the year. I am so happy for you. I hear our God calling us to go deeper with Him. So much from the world is keeping us from Him and also keeping us from living our best lives. Truly time for a reset. I’m ready to reset I think this is a God-given opportunity. I’ve just lost my mom and I feel empty and abandoned. I thank God for using you. God bless. Your Father knows your heart. Yes, a time for our to reset and move into your new life with the Lord. Deeper. More profound. More complete. I will be starting a fast December 1, I need a for things to change. I will not go into 2019 like previous years. I will also do the January fast. Blessings to you, Carla. I see you are hungry for God and that you know He is the one to lead you into your future. Yes, Susan, I am ready to reset; body, mind, and spirit. As a matter of fact, I am starting my fast early this time 11/26 and continuing on with the Daniel Cure. I just started reading the book. I not only want to get closer to God, but I also need to heal my body. I realize that many of the ailments that are coming upon me can be eased with proper diet and exercise. I’ve decided to stop focusing on my weight so much and strive for overall health and wellness. Losing weight will be an added bonus. I am adding to my prayer journal all the marvelous things I believe the Holy Spirit will do in me and through me in the coming year and I must be well in order to see them come to pass. I thank God for you and your commitment to your ministry. You have been a tremendous blessing. Yes! I plan to January 3. This next month I will be pulling back on sweets and caffeine. So looking forward to resetting & drawing closer to God! Wise of you to cut back on sweets and caffeine, Tonya. So great that you already have your eyes on the fast and what you will experience with God. Yes Susan I am so ready for this. I know God has something for me and I am ready to receive. Yes, God has so much He wants to give you as His precious child. 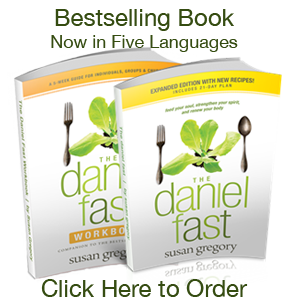 Hi Susan, I will definitely be doing the Daniel Fast, I am so ready! Thank you. Thank you. God is so good and I believe He has much in store for us as we enter into that amazing experience of extended prayer and fasting. He’s the best personal retreat Leader! I am ready to reset and re-connect! Praise God, Janet! So happy you have the spark in your heart! This is right on time! I did the Daniel Fast in January, and I could not believe how my relationship with God strengthened. Sadly I have not kept up with my reading and praying, and I can really feel the difference. I’m anxious and irritated all the time. I can’t wait to do this fast! Thank you so your message. And I’m so glad that you hear the Lord calling you into a closer relationship with Him. He loves you so very much and wants you to have the peace in your heart only our Lord can give. Susan I use to go on a Daniel fast every 3 months to refresh my soul. But these last few times that I have tried to go on a Daniel fast I don’t succeed. I always let something get in my way. I am going to start my fast December 3 please pray for me because I need a reset. Thank you for all you do. Thank you for your message, Barbara. As you know, now is a good time to start preparing for your fast to begin on December 3rd. It seems your heart is already getting ready to center on the Lord and discover new things about Him and about yourself. I do encourage you to look back on those times when you didn’t succeed. What were the triggers? What were the complications? As you become aware of them, you can prepare this time to not allow them or other issues to trip you up. You have everything you need inside of you to have the success you desire. Be blessed on your fast and I have prayed for you. Praise God! He has so much for you, Pauline! God is so good. He hears us all the time. And when we turn to Him, quiet ourselves, and listen . . . we can hear His still small voice. Yes, I am ready to reset. I have been struggling for about a year now, after the loss of my brother. I felt like there was no use in anything because I felt as if I would be leaving next, like I was too old to move forward, (he was younger than me, I’m 61 now). I have prayed, tried renewing my mind and speaking to others who had lost love ones and seem to be moving on. I feel at times that I am stuck and a sense of hopelessness comes over me and the things happening in the world doesn’t make it any better. I try taking my mind off of myself and praying and focusing on others, but it still comes back. I am ready to reset, be consistent in my time with God and enjoy the life he has planned for me. Ready to reset. Sending you a sweet hug. Your heart has been aching and you’re still healing. You may be 61 years old in the world, but you are only a child to your loving Father. He has so much to give you and show you about the joyful and bright future that is before you. Perhaps this will be the focus of your next fast. Take some comfort in the fact that you are not alone in your feelings of distress. So many Christians are hurting now and I do believe that’s why the “reset” has hit a nerve. I also believe it’s our Father calling us to draw nearer to Him so we can regain our confidence, build our faith, and fulfill our purpose, which is to be a light in the dark world. So glad you’re looking forward to the fast. More to come. For years, I have been starting each new year with a Daniel Fast on January 3rd. Some years, I also try for a second Daniel Fast in mid-to-late summer. God is so wonderful. Fasting is a way we cooperate with God and make stand for ourselves that we’re going to focus more and more of our attention on Him. It’s so very powerful. Yeah! So glad you’re making plans! God is so good and He has so much for you. What a delightful reminder, that God is such a loving Father who cares so deeply, that when we are overwhelmed by this world’s schedule and demands, that it’s ok to reset ourselves and rest in Him. Thank you for such a wonderful post. You always seem to be right on point. God bless you for being obedient to the Holy Spirit! I am eager to start the Fast and therefore will do a full fast in small intervals. Thanks for your lovely message, Shirley! You’ve warmed my heart today! Be blessed, lovely woman of God. Praise God, Paulene. So good you are making plans to focus more on God through prayer and fasting. He’s so good. 1st of December it is, looking forward to I need to reconnect with God as I feel that I have lost track. You are so very welcome, Thembani. Be blessed as you begin preparing your heart for the fast. Fasting is so wonderful. Keep watching for more about the New Year Fast. Most people will begin on Sunday, January 6th, 2019. Be blessed as you open your heart to this powerful spiritual discipline. Lately I have been feeling out of place and not able to keep on top of things. I have lost control of my eating. I used to control my desires but lately I eat anything I want, procrastinate on doing the things I need to get done and I read my bible but it feels like an obligation rather than my hearts desire. I did the Daniel Fast at the beginning of the year and felt wonderful. I am going to try the 10-Day water fast and the DAniel Fast next year. Your words echo what is being felt and experienced by so many people in the world today. The good news for each of us is that we can “step out and step in.” That’s what I did when I started my 10 days water-only fast. I’m still on it and getting into the really rich part of the fast. God is so good as He comes alongside us to teach and direct us so we can be in His peace. Hi Susan, Thanks so much for the link as I told you I am currently on the Daniel fast and this morning the Lord has spoken to me re the area of restoration of some members through the story of the Prodigal boy so often we see him as the sinner but the spirit revealed that some are within the walls of the church and we might not know how to reach them in words but we can go on our knees and pray for God to draw them into a deeper relationship with him I am in the process of planning a small group to start praying for all within our district who once were walking with the Lord but appears to be dormant. Yes, you are so right, Freda. So good that you are praying for those who are hurting, disconnected, or discouraged in their relationship with God. I do believe He is calling His sheep to draw near to Him so we can be strengthened and equipped to fulfill our purpose to be the light in the world. Just today I got my new ordered book “daniel fast” from the library, cause my old one went to a friend, to whom I spoke about. Back home I found your e-mail, God’s timing is perfect! I start preparing my heart with prayers for the new year fast 2019. Last time when I did it with your guidance, it was so amazing helpful, that I put immediately to my calender for the next year. Will invite to friends, which whom I spoke about monthes ago. God is so good. Thank you for your lovely message. And for sharing the word about the Daniel Fast. I praise God that He has called me to this work and that I have the joy of interacting with so many wonderful women and men of God. You are a gift, dear one. Be blessed and I’m so glad you’ll be fasting again in the New Year. I am feeling sad, lamenting so many losses of the last 3 years in every area of my life. Yes there have been moments of feeling overwhelmed with workplace situations, health and family relationships. Please know this for sure: God is with you. He wants to be your Comforter and your Rest. Lean into Him as you walk through this part of your journey. Let Him care for you. Yes, many folks fast before Christmas! Praise God for your desire to draw nearer to Him. Thanks for this…lately I have been feeling disconnected and i felt it my heart that I needed to to spend a few days in fasting and prayers. I need to reconnect and refocus. You’re not alone, Nelo. Many of God’s children feel in a similar way. Lean into Him and day by day you will become closer and closer. I can hear your desire for God in your message, Serina. So many have amazing experiences with Him on the 21-Day New Year Fast. I hope you can join us. Be blessed as you continue to grow in the love and knowledge of Jesus. I’m in a space where my heart is troubled, where things are not going my way. I’m trusting God for a breakthrough especially in getting an affordable school for my son. While waiting the devil instill fear on my mind through dreams that it’s not going to happen. Nozipho, keep trusting God. Find the promises He’s made to you in His Word. Stand on the Promise. And keep that pesky devil under your feet. He is a defeated foe! Thank you, Susan, your email and blog post is truly in God’s time! Anxiety has snuck in the back door and has upset my emotions, health, and physical body. I so appreciate your post and your encouragement. I will spend time this afternoon refocusing my thoughts and priorities and time spent with our Father. Again, thank you! God is so good and loves you so very much, Peggy. He has you on His mind and wants the best for you. I’m so thankful that He used these messages to encourage you to reset and lean into Him. So overloaded right now not sure I have the energy to do it but my heart wants to and I hear the truth of what you’re saying. Urs, you are not alone in your feelings of overwhelm. Pray about the fast. Most people use the Daniel Fast as their method of fasting at the beginning of the year. Fasting shouldn’t be a burden, but instead a time of refreshment, growth, and discovery. Perhaps the New Year will feel like a better time for you to participate. I would love to have you with us. Thank you for your encouraging message, Vineeta. I hope excited for you! God is so good and fasting has so much to offer us. Be blessed. I did the Daniel Fast 10/01/18 for 21 days. I felt so good. Then I went back to my old ways slowly. Now I’m back to the old ways, How do you go on the PBD for health. This is line with what I’ve been going through and praying about. There’s been so many distractions taking my focus off God. Like Susan mentioned I have so much to do and I cannot do it from my own strength. I need to trust in God and make him the center of every area in my life. Thank you for your message, Dorcas. I believe God is hearing so many of His children who are really struggling with feelings of overwhelm and stress. He has the answers! And He loves you so much. Hi Susan. When does the fast start? I couldn’t find that information unless I’m missing it. Susan will your worship videos be the same as previous? Do you mean the complimentary daily devotionals? Yes, I am looking to fast in December. God has so much for you, Oni. Be blessed. Thank you for this, I also feel I need to reset and refocus on God. We’re not alone, Vanessa. Thank God He is always with us and we can lean into Him. I talked to my pastor 11/18/18 about beginning the Daniel fast. He suggested that I wait until the first of the year so we could do it as a whole church but I’m so ready. I’ve had a surgery that requires me to have 60 or more grams of protein everyday, what do you suggest o know there’s no meat on the fast but I don’t know what to do to supplement the protein. Thanks for your message. And I hope the very best for you on your fast. Second, whenever you have a “special need,” then it’s totally acceptable to make slight adjustments to the fasting guidelines to address those unique needs. So you could add fish or chicken in appropriate amounts to meet that special need. We are beginning to plan for a group at our church to fast together in January. A friend and I did it last year and it was a blessed way to begin the year. Praying and planning now. I do believe God has anointed this fast. So many people who had never fasted before now make it a part of their spiritual practice. God is so very good. I’m so ready for my second Daniel’s Fast. Yeah! So glad you’ll be with us, Yvonne! Me, too, Daphane! I think God is calling a lot of us to be more centered on Him and out of the stress of the world! Be blessed. And keep checking in. God is putting so much on my heart to share with others. Yeah Carolyn! So glad you’ll be on the fast again. Our God is so good and I truly believe He has amazing things for all who turn to Him. I am planning to fast for 21 days starting from 1 Dec. I have done the Daniel fast few times and esch time very rewarding. The bible passage quoted is proverbs not psalm. This is my favourite bible passage. I am definitely ready. I am ready and waiting.